Greetings fellow space travellers and welcome back to another edition of The Humanist Society of Greater Phoenix Newsletter. Summer is done, but we have one more heat wave before cooling down for another fabulous Arizona autumn. Grab a cold drink, stick with us, and catch up on last month’s events and activities. We’ve got West Valley news, our new fundraiser is now out, the Flying Spaghetti Monster dinner is just around the corner, and we’ll take a look back at what we’ve covered in September’s events. 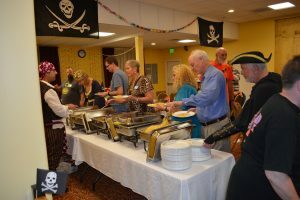 While our activities in Mesa and the Central and East part of the valleys are in full swing with new activities popping up all the time, the West Valley held a very successful event on the evening of September 30. On that evening, the Saguaro Astronomy Club threw a public star party. There were over a dozen telescopes set up by amateur astronomers in the moon’s shadow at Thunderbird Mountain. 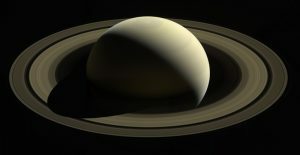 While some had their sights on M13, the Ring Nebula, globular clusters, Neptune, or other objects, Saturn was center stage. Maybe it was to honor the Cassini mission and all of the engineers and scientists involved or, perhaps, it was because Jupiter was below the horizon. Either way, we all had a great time meeting up for coffee and going from telescope to telescope. The galaxy was at our fingertips. I hope to see more events like these from the West Valley! Thanks for putting this together, David and Sabrina! As you know, this year has been rough. We’ve had all sorts of building and maintenance issues that are, thankfully, behind us. However, these necessary expenses have put us in the red for this fiscal year. We also need to start thinking bigger and bringing Humanism into everyday life. To cover this shortfall and accomplish more aggressive goals, we’ve set up a fundraising board to visually track our progress. If you are willing and able to help out, you can support us through regular donations or donate in $250 or $500 increments to get on our fundraising chart. If you donate $500 we will reserve a square that recognizes your contribution. A $250 donation will be recognized with a half square. As your fiscal years come to a close, please keep HSGP in mind. We are a 501(3)(c) tax-deductible charity and every single dollar goes to keeping our doors open and our activities alive. We have amazing volunteers and our board is 100% volunteer run. Everything we’ve done and all the good we are capable of doing is only possible with your support. If you cannot help out financially, our volunteers are an indispensable part of our mission. Please consider signing up to help us with events or work parties. These events help keep costs down so we can stretch every dollar. Thank you to all of our hard working volunteers! It’s that time of year again! The weather is getting cooler and Halloween is just around the corner. You guessed it, it’s time for our 7th Annual Flying Spaghetti Monster dinner! For those who have attended, you know how much fun we have. But for the benefit of those who have not or those who need a refresher, our FSM dinner is a fun and pasta-filled evening. Make new friends or catch up with old friends! Although costumes are optional, they are highly encouraged and really add to the fun and ambiance. Get into character or just try to keep your eyepatch and dreadlocks off your plate. Speaking of plates, we’ll be boiling up the finest pasta and browning the tastiest meatballs. Carb-lite and gluten-free alternatives will also be provided along with salads. Please bring your favorite dessert or beverage, alcoholic or otherwise, to share! In the meantime, you can buy your tickets in advance and please signup to help out! You can make a difference and change starts from the ground up. Remember Evan’s talk, even if you don’t win, you can still move the window. You can still change the framing. You can still change the world for the better. I hope that you consider doing so. Now that we have this amazing website, it’s time to start using it to its full potential. We need smart people like you to write about Humanism, skepticism, science, arts, humanities, and other secular topics to promote a positive and healthy Humanist lifestyle and mindset. If we like them we’ll even post them on our website on your own blog section of the site! If you want to help create the Humanist lifestyle, please email me, Chris using our form and ask me about our new Humanists Blog program! Larry Decker is coming to HSGP! For humanists keeping up with current events, it can be easy to feel overwhelmed. Our civil rights are under siege from every direction and there are so many battles, all of them worthwhile, that need to be fought. In the face of injustice and adversity, humanism can inspire us to action and provide us a foundation for effective resistance. How the religious right and their allies in Congress have pushed an agenda that is as unconstitutional as it unpopular with the American people. How humanism can unify a diverse coalition of movements to fight together against a common enemy. And how the Secular Coalition for America is working to organize non-theists and humanists across the country to create impactful and lasting political change. To keep up to date on the latest secular news and events, look no further than The Humanist Society of Greater Phoenix. RSVP for this free event today! Since I will be retiring from the Membership Director position at the end of the year, you will be seeing a new face sitting at my table during the Sunday meetings. Please say hello to Elizabeth Sowell when you walk in the door and make her feel welcome. She is one of four people who will be taking over my duties next year. This workshop is held on the second Saturday of every month, except December. The next one will be held on Saturday, October 14. Here’s the link to my Meetup page: Sleeping Mats Workshop Any questions can be sent to me at the email address located beneath my name at the end of this message. Pull your pirate costumes and colanders out of mothballs for The FSM dinner also being held on Saturday, October 14 from 5 to 10 p.m. Details on Meetup, FSM DInner. Costumes are not required, but are a heck of a lot of fun. For those who like to enjoy spirited liquid refreshment, feel free to bring your own grog. We at HSGP are throwing away about $1000 a year simply because we are not using the Fry’s shopping benefit to its full extent. The first year we were on it we received about $2000. Each year since that, we have received approximately 50 per cent of what we earned the previous year. Until now in 2017 so far we have earned $327. This is free money we are just not claiming. The program has been rewritten a couple times. Fry’s has excluded certain categories and changed it to a “reregister every year” and now back to “register just once.” But these changes are not the cause of our decreased rewards. I think it is that we have not advertised it lately and that a lot of people think that they are registered and actually aren’t because of confusion about registration policy. Now it is register once and your little key fob or your wallet card, whichever you use, is permanently linked to HSGP. We get 3% of everything that is bought at Fry’s excluding those exempted items. Just hand them the key fob and have them run it through their register. It is so quick to do and we have people at every meeting who have laptops and will help you register. BUT WAIT… there’s more…. I asked an employee in Frys why they don’t have a computer in the store where we can enter what we are searching for and it will tell us the location. He said “Download the Fry’s app.” When I am confronted with a sentence that begins with the word “download” my eyes take on a glassy haze and I mutter something like “too complicated”. He did the downloading for me and I was really impressed. I entered what I was looking for and it not only told me where it was in the store, it showed all brands available and the price of each. This thing is idiot – proof and I know because I’m the idiot they tested it on. BUT WAIT…there’s more….. It also showed that week’s coupons AND the coupons I had loaded onto my phone from my email. So I don’t have to actually print the coupons and take them with me to store. That’s really great for me as I don’t think I have ever put a coupon in my purse or car and actually successfully taken it to the store and redeemed it. This is a great money making program for HSGP if we use it to full advantage and it saves YOU time and money. You get coupons and you find things in the store faster. BUT WAIT…. There’s more…. Fry’s is not the only program available to us. Basha’s is actually more generous, they give us 6% . It’s slightly different. You have to prepay a card and then use it and reload it. Still, if you prefer to shop at Basha’s, please see any member of the board to get a card. This has just not been as effective, I think perhaps not as many people use Basha’s as Fry’s. So help us get our hands on all this free money. And at the same time improve your shopping experience.